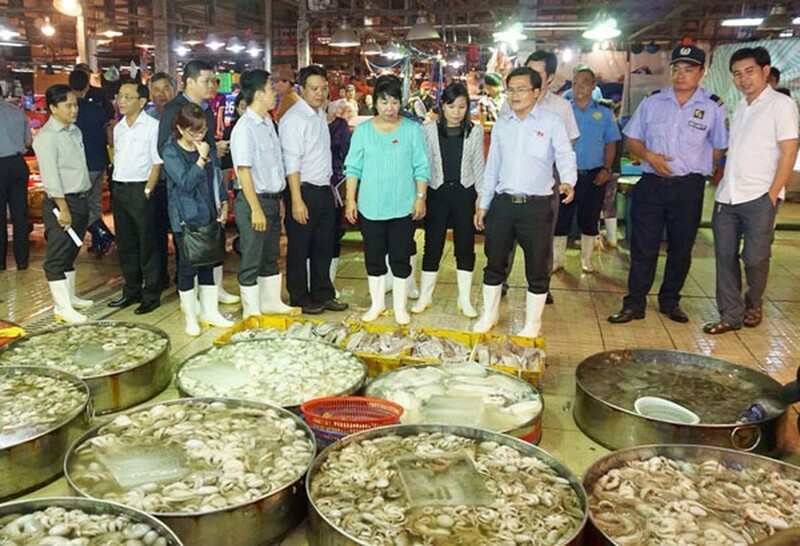 A task group led by head of the Cultural and Social Affairs Board of the city People's Council Thi Thi Tuyet Nhung suddently inspected fish quality in wholesale market Binh Dien in the Friday midnight. The inspection was conducted after a report on unsafe fish from market managers to the city People’s Council. Deputy Manager of market Binh Dien Duong Anh Dung said that fish breeders in provinces have used banned antibiotic in husbandry rampantly and that is the reason why fish samples failed to meet quality standards. For years, the board has set up a body to check food safety quality and environment to inspect and test fish as well as monitor the origin of batches of aquatic products into the market. The managing board in coordination with the departments of animal health, quality management and aquatic protection, plant protection under the Department of Agriculture and Rural Development in HCMC to implement food safety in the market at nights as well as increase traders’ awareness of food safety and harmful effects of antibiotics and toxic chemicals on human. 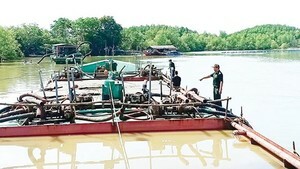 As per the report of the management board, in 2016, just 424 of 542 samples meet the standard accounting for 87 percent because breeders of fresh water fish in provinces overused banned antibiotics, said Dung. To curb the problem, Dung added the management board worked with relevant agencies to implement safe food chains for fresh water fish. In the other hand, the board will work with aquatic product departments in provinces and traders to spread the regulation of safety food and banned chemicals in breeding. Furthermore, the board will regularly take samples from vehicles for test and impose tough penalties on violators. Ms. Tuyet Nhung said that the market has helped to resolve the city’s social order and positively contribute to the growth asking to tighten monitor on food safety regulation. The market is the biggest one in the city and the South to provide 2,400 tons of commodities per night including 1,150 tons of aquatic products and 1,000 tons of agricultural produces and 250 tons of animal products with total revenue of VND110 billion a night attracting 20,000-25,000 consumers.